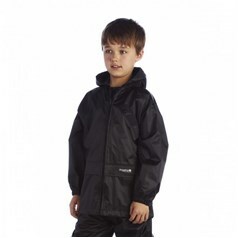 JKL Clothing stock and supply a range of children's waterproof clothing, all as part of the schoolwear and kids clothing department of JKL Clothing. 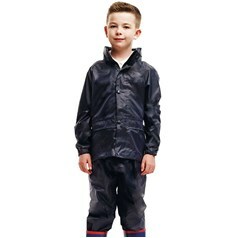 All children's waterproofs supplied by JKL Clothing are in stock and available with short delivery times. 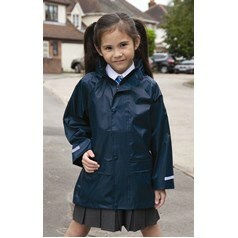 Why not purchase a personalised waterproof children's jacket your, by adding embroidery or printing to your childrens waterproof clothing. 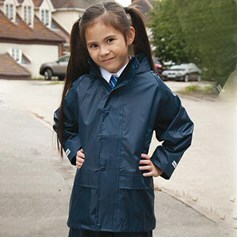 Call our Sheffield office on 0114 2398000 for all your embroidered and printed kids clothing requirements. 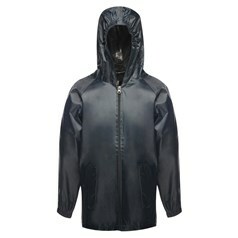 Sometimes the best fun is in the rain – as long as you are covered and don’t have to get wet. 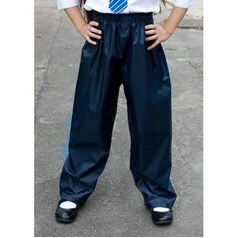 Children do have a tendency to grow which often makes buying specialist seasonal outfits an expensive purchase. 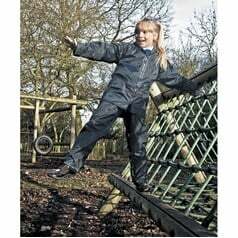 So often they don’t get full use out of their gear before they need the next size up and if prices are prohibitive then sometimes the activity has to stop. 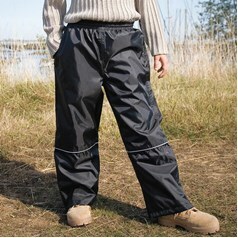 Accompanying a relative fishing doesn’t have to mean an expensive set of waders or bib and brace, a waterproof jacket and over trousers with warm, breathable layering underneath will suffice. Hill walking or hiking can be a great day out as long as you are protected from boggy land, damp hill cloud and splashes from mountain streams. 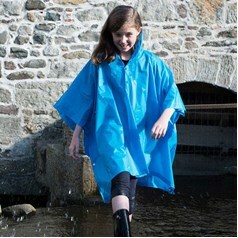 Helping out on a farm or washing cars as community work or a fund-raising activity could involve muck and splashes but a great deal of fun with the proper protection. 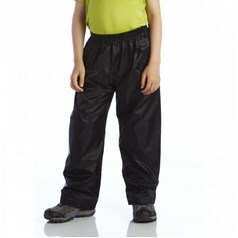 JKL Clothing has children's PVC coated waterproof jackets and over trousers that are durable and practical and available at an absolutely amazing price – as little as under £7.00 for a complete set. 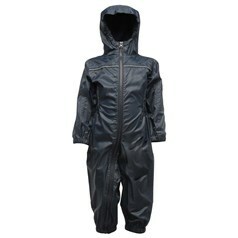 Lightweight and easily rolled for packing, these waterproof children's outfits would be a handy addition to your holiday luggage if you are planning any outside activities that might involve a lot of water – whether by choice or in the laps of the gods.